Gold Reef City is a place of pleasure in Joburg.Gold Reef City is a combination of entertainment complex made up of a theme park and casino facilities. Gold Reef City is a combination of fun and fantasy. Located on an old gold mine, the park is themed around the gold rush on the Witwatersrand. Park staff wear period costumes of the 1880s.The buildings built inside the compound designed like the same period. The Apartheid museum is located next to Gold Reef City, which is a good place to spend to find out more about the apartheid era.The museum exhibits include antique clothing and children's toys, which take the visitor back 100 years to the city that was.The carefully-documented history of Apartheid,beautifully depicted in the Museum, is a must-see on a South African visit. And nowhere else will the tourist find such a comprehensive and colourful depiction of mining life at the turn of the nineteenth century. The Theme park has an abundance of adventures rides, gaming, restaurants, and tours for you to enjoy. Its a fun place to take the kids. Youngs as well as old enjoy the adventure rides. From the skyline, the Giant Wheel, Anaconda and Tower of Terror will beckon all you find here. The Anaconda is the only inverted roller coaster in the world and is currently the record holder for the fastest and tallest inverted roller coaster in Africa. The Tower of Terror is a vertical drop roller coaster which features a drop of 47 meters, and a pull-out which features a positive G-Force of a massive 6.3G's. You ca n also visit the original gold mine in a lift that goes down to 220 meters below the surface.Those interested in gold mining can see the gold-containing ore veins in an old mine, or observe in a small museum how real gold is poured into barrels.Thousands of feet down to a shaft of the Crown Mines there were round the looooong tunnels and the mine workers demonstrated how the gold was mined which gave a vivid impression of the work of the gold-miners. The casino at Gold Reef City offers abundance of gaming choices. 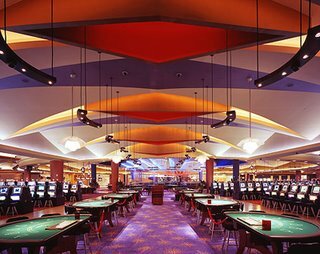 The casino at Gold Reef City is open 24 hours a day. Your gaming options include slots, various tables, for the high rollers and much more. Everyone from international travellers to family groups will find here something to keep them occupied. 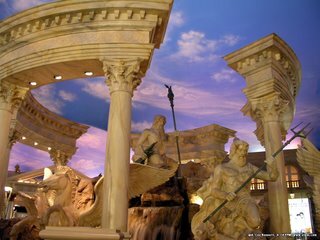 With 1600 slot machines and 50 tables ranging from Blackjack, Roulette, Baccarat and various different kinds of Poker, there is an abundance of entertainment. Gold Reef City provides educational aspect to any visit. The combination of Apartheid museum, historical theme park, rides, restuarants and casino is a superb combination.International travellers savour the offering of traditional African music, dance and history found throughout the complex. It is well worth a visit to Gold Reef City, to see how this entertainment package is put together and presented.